There are many ways in which having an energy efficient home is advantageous — it’s environmentally friendly and saves you money on your monthly energy bill — but in the hustle and bustle of it all and trying to be the most efficient, sometimes it’s the smaller actions that have the biggest impact. When you make the decision to make changes, you don’t immediately have to go straight for the solar panels and composting toilet, you can look for the foundations to conserve energy and save yourself money. 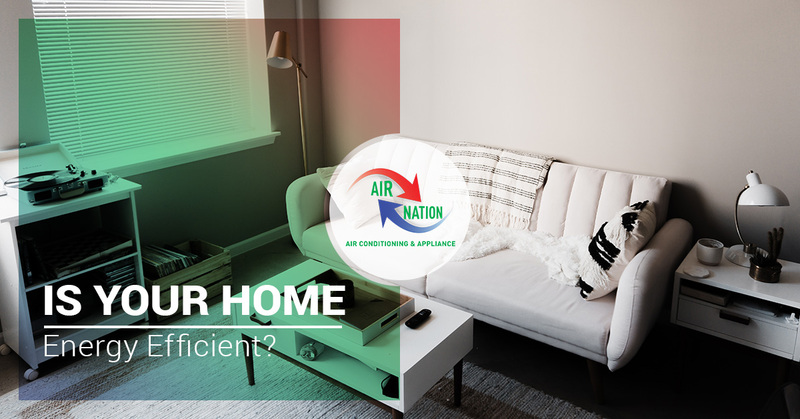 Making your home run more efficiently can be as simple as contacting us at Air Nation for appliance parts to for a quick and easy fix, or perhaps your air conditioner is outdated and you need to replace it with one that will save you money and energy usage over time. Find all of your HVAC and appliance repair answers at Air Nation. Read more about how to make your home more energy efficient. Have your air conditioner maintenanced, regularly. Before the onslaught of a brutal Florida summer, have an HVAC team come in and assess your air conditioner to ensure its in peak performance. An air conditioner that is not optimally functioning, not only affects your comfort but has a greater chance of an overall system failure. Set your air conditioner and leave it be! Many homes are notorious for turning the air conditioning up and then forgetting about if they leave the house — leaving it to cool an empty house. Set your air conditioner for an appropriate temperature and don’t knock it up, or better yet, get a programmable thermostat. Keep the sun out. Natural light is amazing, but in the summer, the sun’s rays are hot and powerful. In your home’s empty rooms, close the blinds and curtains to help keep the sun out. Use your dehumidifier. Sometimes the only thing you need to remove is the humidity, and Florida has plenty of it! If your home has a dehumidifier, turn it on as the summer temperatures climb for a more temperate environment. A few small changes, can increase your home’s energy efficiency and save you money this summer. Replace your light bulbs. People have be touting this swap for many years for good reason. Implementing LED or CFL light bulbs can save you up to 66 percent in energy usage. Many people don’t want to make the switch because their light can be cold and uninviting, but it’s developed over the years and now there are many light bulbs with a warm, yellow glow just like the good ol’ days! Implement a power strip. If you have an outlet, or even a few, that you’re filling with electrical cords, it’s important to use a multi socket extension lead. If you turn it off when it’s not in use, it can save up to 15 percent in energy consumption. Unplug — because it’s not just a thing for humans! 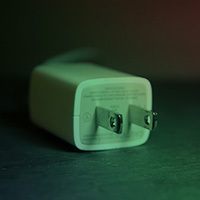 In the same vein of the power strip, unplug appliances when they’re not in use. Think about it: your TV, computer, toaster, and coffee machine sit unused for more than eight hours a day, yet they’re still plugged in. Save that energy sucker by unplugging them. Keep your refrigerator out of the sun. If it’s possible, keep your fridge out of direct sunlight. The sun’s rays can heat this appliance up, causing it to work harder to cool its contents, and using additional energy. Look for Energy Star appliances. If you’re in the market for a new refrigerator, water heaters, clothes washer, or dishwasher, choosing one that has an Energy Star Rating will indicate one that uses less energy than a typical appliance. Always run a full load. When you go to run your dishwasher or clothes washer, make sure they are completely full, this way you’re not running them any more often than you need. When it comes to home energy efficiency, you don’t have to jump all in, you can begin by dipping your toes in! Make small changes by checking your air conditioner’s efficiency for the summer, and do little things around the house like replacing light bulbs, using a power strip, unplugging appliances, keeping your fridge out of direct sunlight, looking for Energy Star appliances, and running a full load. For air conditioner assistance and all things HVAC related, connect with us today!